The Brisbane Times has reported the results of a 3-month trial to improve the appalling usage rate of Brisbane’s CityCycle bike hire scheme. While there has been a slow and grudging acknowledgement from politicians and transport officials that compulsory helmets are a major impediment to the success of CityCycle, there is still some denial about just how poorly our scheme is performing. Recent figures from the trial period, in which 400 courtesy helmets were distributed around the stations, reveal that usage is still hovering at an average rotation rate (daily trips per bike) of 0.4, as reported last month. Lord Mayor Graham Quirk claimed that the daily usage for the fleet of over 1000 bikes peaked at around 500 trips per day during the trial, meaning that even at times of maximum patronage every second bike was sitting idle all day. Compared to other bike hire schemes outside Australia (none of which require compulsory helmets), this level of usage is truly pathetic. Earlier this year Dublin’s bike hire system set a new daily usage record for their bikes of 6,281 trips. With only about two-thirds of the number of bikes as CityCycle, this represents a phenomenal rotation rate of 9.8 trips per bike – almost 25 times greater than the CityCycle record. The courtesy helmet “solution” offered by Brisbane City Council is clearly ineffective – 250 of the 400 free helmets have gone missing after just 3 months. Many people are also understandably reluctant to wear a one-size-fits-all communal helmet which has potentially been worn by hundreds or thousands of other people. The evidence from other countries is that for this sort of slow “utility” cycling, the majority of people are comfortable and often prefer riding without helmets. The only solution to the situation here is to allow adults to ride CityCycle bikes without helmets, as is the case in hundreds of other cities around the world where bike share systems are successfully operating. Fears that helmetless riders will lead to a dramatic increase in injuries are unfounded. The aforementioned Dublin Bikes has so far recorded over 2.5 million trips without a single fatality or serious injury. Likewise the larger scheme in operation in London has now chalked up over 8.5 million trips, again without a single fatality or serious injury. Bike hire schemes have the potential to be an important part of the public transport mix in our cities. They can also act as a catalyst to achieving better cycling infrastructure as well as greater public awareness and appreciation of cycling in general. 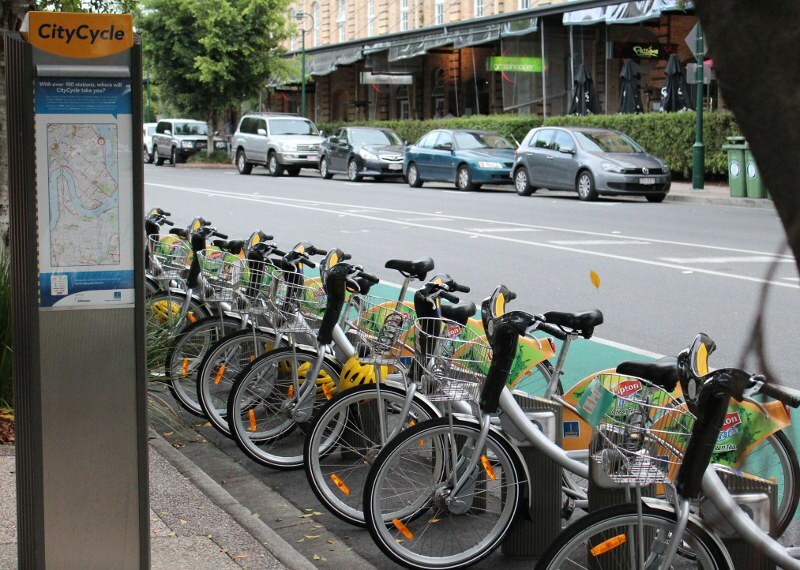 Failure of bike hire schemes such as CityCyle would amount to a huge setback for cycling in Australia. If you want to see them survive please let our elected officials know that you support an exemption from helmet laws for bike hire users. Sanity prevails! Just not here. A third attempt to introduce mandatory helmet laws in the UK has failed. The Private Member’s Bill, Cycles (Protective Headgear for Children), failed to make it to a second reading as none of the major parties offered their support. While we are strong supporters of everyone’s right to wear a helmet if they choose, this bill clearly shows how helmet laws hurt cyclists’ safety by focusing on the wrong issues. By singling out cycling while ignoring all other activities with similar risk profiles, such as walking and driving, helmet laws send a strong message that cycling is considerably more dangerous than the safe and healthy activity it is. The law would also appear to be completely ineffectual – it only required proof of helmet ownership within 28 days to avoid a fine. Mandatory helmet laws are the last option government should be considering, and only once it has exhausted all other alternatives. In a stark contrast with Australia, no political party or cycling organisation in the UK supports mandatory bike helmet laws. Isn’t it time we admit what the rest of the world knows: that helmet laws hurt cycling and fail to make it safer. End bike helmet laws now! What would happen if people rode instead of drove for just 40% of journeys under 4 kilometres? A recent study in Environmental Health Perspectives indicates the net health benefit from reduced air pollution and increased exercise would exceed $255 per capita – or $7 billion – for the study region of 31 million people. The research focuses on the improved health outcomes from a decrease in pollution and increase in activity levels and finds that the annual average urban PM2.5 would decline by 0.1 µg/m3, resulting in net health benefits of $3.5 billion/year (95% CI: $0.4–$9.8 billion), with 25% of PM2.5 and most O3 benefits to populations outside metropolitan areas. Across the study region of approximately 31.3 million people and 37,000 total square miles, mortality would decline by approximately 1,100 deaths/year (95% CI: 856 – 1,346) due to improved air quality and increased exercise. Our Note: By discouraging cycling, mandatory helmet laws contribute to Australia’s mortality rates and rising health-care costs. Cycling levels declined by 30-40% when helmet laws where enacted in Australia in the early 1990s and current surveys reveal the laws are still discouraging a similar proportion of people from riding today. Repealing them is a necessary (but not sufficient) condition for encouraging more people to cycle as a form of transport. Members of the Helmet Freedom team have been hitting the airwaves recently and have had some engaging discussions with radio hosts & callers alike. It seems that the majority of adults think bicycle helmet choice is a good idea. 73% of the 2,466 respondents said YES! This is consistent with a poll taken last year by Melbourne’s Age in conduction with this article that showed that 71% of respondents were in favour of a helmet law exemption for bike share – there were 13,890 respondents! Currently Melbourne’s ‘Melbourne Bike Share’ and Brisbane’s ‘CityCycle’ are the only two large-scale public bicycle hire schemes on the planet which require adult riders to wear a bicycle helmet. Professor Chris Rissel from the University of Sydney discusses mandatory bicycle helmet legislation with Greg Cary. Don’t forget to visit the GetUp! Suggestion Forum to add your voice for choice.